“Be Gentle” is my preemie series. It comes in 4 preemie sizes with 3 different brims. Sizing is for babies from 1lb to 6 lbs. Hat is knit in the round from the bottom up. The largest size will also work for newborns with 12 inch heads. 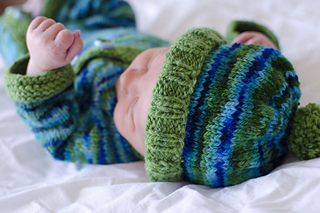 All my other hat patterns start at 14 inches and will work for larger newborns. If you found this pattern helpful, I would really appreciate it if you make a donation in goods and/or monetary to an organization that supports and aids in the care and research of preemies and their families.